TYA series vacuum lube oil purifier is mainly for purifying unqualified lubricating oil, hydraulic oil, compressor oil, refrigeration oil and other industrial oils, this machine can rapidly separate water, gas, particles and volatile matter (such as alcohol, gasoline, ammonia, etc.) from oil, restoring oil viscosity, flash point and performance. 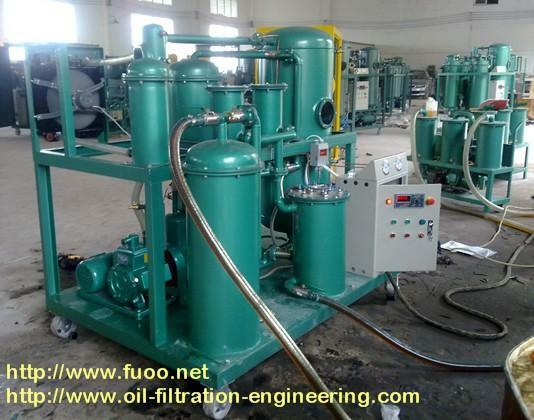 The treated oil can reuse again in various industrial equipments. It is widely applied in petroleum, chemical, mining, metallurgy, electric power, transportation, machinery manufacturing, railway etc. 1. Double primary-filter structure, large capacity for holding particles, Multi-stage filtration system to ensure high filtration precision. 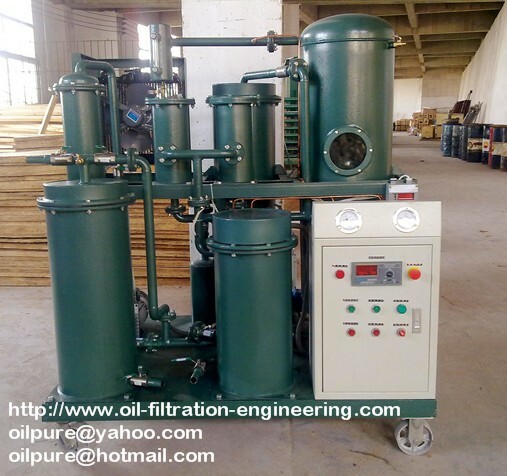 This oil purifier equipment can remove the water content, gas conteng, impurities, particles, sludges, and other waste residues from lube oil effectively and quickly.